Miss Universe candidates visited the noontime show It’s Showtime today, January 19. Hosts Anne Curtis, Karylle and Jhong Hilario snapped a photo with Miss British Virgin Islands, Miss Netherlands, and Miss Chile after their appearance on the show. 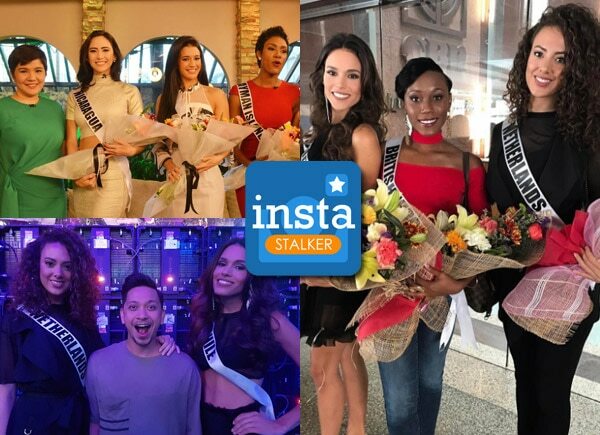 Amy Perez, who is also a host on Umagang Kay Ganda, met Miss Cayman Islands, Miss Great Britain and Miss Nicaragua during their appearance on the morning show.